Robust global economic growth and a benign external economic environment until recently are widely regarded as contributory factors in India registering annual real gross domestic product (GDP) growth of 8.8% between 2003-04 and 2007-08; and in India’s total international trade exceeding $500 billion in 2007-08 (about 50% of GDP). India, however, has not been immune to the current global financial and economic crisis, which arguably signifies the end of financial capitalism. This is reflected in sharp declines in asset valuations, high currency volatility, and in higher cost and reduced availability of credit for households and businesses. India’s inflation has hovered around 11% in recent months and remains a major policy concern. In responding to the current crisis, India’s policy options are constrained by the inaction in undertaking reforms during the recent years of robust growth. In spite of the Fiscal Responsibility and Budget Management Act, fiscal deficit has been permitted to reach unsustainable levels. India also has large trade and current account deficits, largely financed by foreign capital inflows and remittances. The current crisis is making it more difficult to sustain these twin deficits without high economic and social costs. In addressing the current economic and social challenges, the main priority should be on domestic economic and governance reforms. India’s LEP (look-east policy), initiated in the early 1990s to revitalize age-old civilizational and economic links with the rest of Asia, could be a useful instrument in mitigating the adverse impact of the crisis, and could better position India to benefit from its aftermath. The LEP has enabled India to deepen its relations with the 10 Association of Southeast Asian Nations (Asean) countries, China, Japan, and Korea. More recently, efforts to strengthen economic and political links with Australia are showing promise. India has been a low-key but constructive participant as a full dialogue partner of Asean, the Asean regional forum, devoted to security issues, the Asia-Europe meeting, and the East Asia summit (EAS), launched in Kuala Lumpur in 2005. The EAS comprises the 10 Asean members, India, China, Japan, Korea, Australia and New Zealand. It is increasingly regarded as the most appropriate forum for articulating and structuring Asia’s role in reforming global governance and institutions. Even during the current global crisis, the EAS as a group likely to grow at considerably higher rates than the average growth in developed countries, and in other regions. Deeper integration with the EAS members, therefore, could help sustain India’s external sector as an engine of growth. Three recent developments augur well for the use of the LEP to cope with the current crisis. The first is the India-Asean PTA (preferential trade agreement) covering merchandise trade, which will be formalized at the India-Asean Summit in Bangkok in December. It provides for gradual elimination of tariffs on 80% of tariff lines by 2015, while bringing the rate to 5% on certain sensitive items. Details of the PTA are not yet available. Its impact will depend on implementation integrity and on the transaction costs of availing the benefits. Nevertheless, the symbolic significance of the PTA should not be underestimated. India has reportedly been assured by the Asean side that it intends to pursue a separate bilateral agreement involving trade in services, movement of natural persons, and investments. The two agreements will provide a better balance of the distribution of gains between the two sides. The second major development has been the affirmation of the India-Japan strategic and global partnership during Prime Minister Manmohan Singh’s recent visit to Japan. This partnership has economic, strategic, and environmental dimensions. Affirmation by both countries of the EAS as the primary forum for articulating Asia’s views of global affairs is of particular importance to India. The challenge is now for both countries to develop greater economic and technological substance to their relationship. 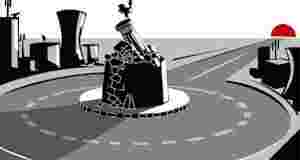 The third major development has been the removal of obstacles that enable India to resume civilian nuclear trade and commerce. This could provide an added dimension to India-South-East Asia; and in smoothening India’s relations with Japan and Australia (a major uranium producer). India’s expertise in building and operating small-sized nuclear power plants (220MW and 440MW heavy water reactors) is better suited to South-East Asia’s power grid. India could cooperate with Vietnam and Indonesia in civilian nuclear power. To realize the full potential of these positive developments, India must develop much greater expertise in geo-economics. Two initiatives merit consideration. First, vastly expand postgraduation education in strategic studies, international relations and public policy. Second, consider establishing a well-funded, private-sector-led think tank, located outside New Delhi, for researching, debating, communicating, and influencing foreign policy issues and options. The current global crisis is far more serious than envisaged earlier. While the primary focus should be on domestic reforms, the recent developments augur well for India’s LEP to play a role in meeting the current economic challenges.